Constructivism is at the heart of Greene Hill School’s approach to teaching. It is the theory that all people construct their own knowledge, developing meaning and understanding through experience and reflection. 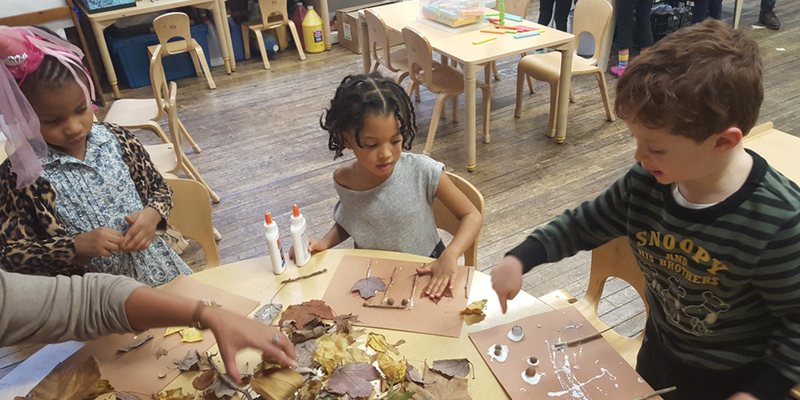 Based on the research of developmental psychologists and educational theorists like Jean Piaget, Lev Vygotsky, and Eleanor Duckworth, constructivist theory provides a strong framework through which we at Greene Hill understand how children learn and what our role is in supporting their learning. We see learning as an active, life-long process, through which people continuously build upon what they already know to refine ideas and create a more complex worldview. The constructivist classroom provides ample opportunities for posing questions, formulating and testing ideas through hands-on experience, and examining theories through rich discussion. At the onset of an immigration study, children interview relatives, family friends, and community members about their experiences coming to America. Through discussion and readings, they identify common themes in the immigration experience, and wonder together about the stories that stand outside those themes. Children examine well-written picture books to see how authors use commas, making generalizations and developing rules for their usage that they can immediately apply to their own writing. Children use graph paper or base-ten blocks to make physical models of double-digit multiplication, figuring out how that representation relates to the standard U.S. algorithm for multiplication, and to other methods as well. A class learning about bread experiments to find the right ratio between flour and water, and tries baking a loaf without yeast to see what will happen. They decide what their next step will be to better understand the process. At Greene Hill School, our approach to assessment is consistent with our overall philosophy of teaching and learning. We consider the whole child, and we value the deep and ongoing relationship between teacher and student. Instead of using standardized testing, we consider assessment part of the authentic work that teachers and students do together every day. Through careful observation and dialog, analysis of children’s work, and deep familiarity with nationally considered standards and benchmarks, teachers are closely attuned to their students’ development. They use that knowledge to drive their teaching decisions, and to ensure that children are acquiring appropriate skills and understandings. In addition, our Learning Specialist and teachers find that regularly applied formal benchmark assessment tools for reading and math skills lend consistency and clarity to our understanding of students’ academic development. Every year parents participate in three parent- teacher conferences and receive two detailed narrative reports to provide clear communication about a child’s academic progress.